It took us a while to make another article about security. They will never be enough, because there will always be someone who finds out about each of them for the first time. Ideally, we should not have to do it, and the network should be an ideal world where we can all trust everyone. However, that will not happen , for the same reason, we always try to inform you about the latest threats that you could face. 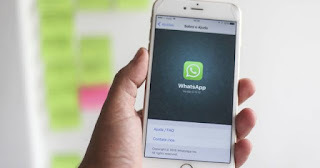 On this occasion, the affected is WhatsApp. Quite a surprise, right? 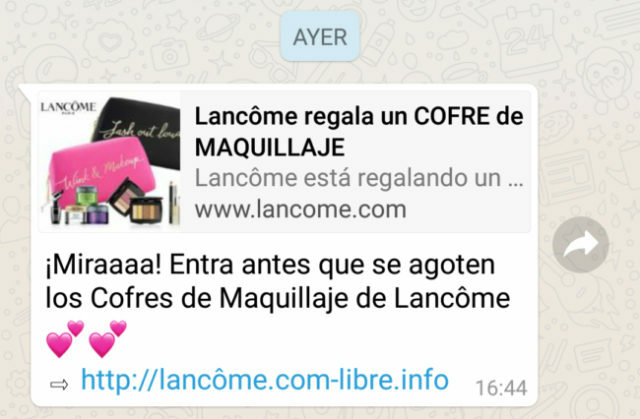 Apparently, some users are receiving messages about a new promotion in which a famous brand of cosmetics offers a set of articles for free. Of course, it is a hoax , and under no circumstances should we enter the web page that they indicate. Not because of the security of the device, but rather because of our data. Once you enter the page, which you should not do, again, you will be indicated a series of requirements after which, supposedly, they would send the prize. It seems very easy, you just have to forward the message to several of your contacts, and then, indicate your data. All in order to give you something that seems to be burning in your hands, because, of course, they want you to do it as quickly as possible. As we have already said, there is no such promotion, and in no case should you give your data on a page of this type, let alone share it. It is a scam designed to extract your information fraudulently, and you can not allow them to get away with it. Therefore, neither share, nor let you blind curiosity.